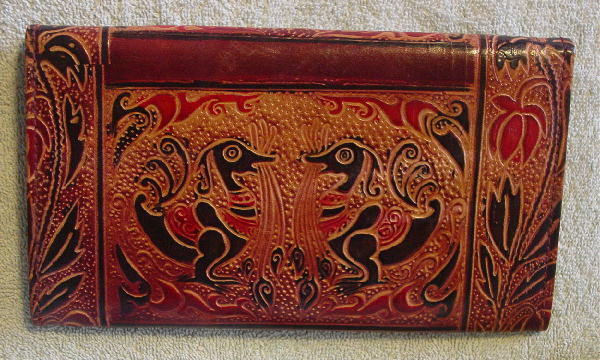 This never used vintage leather foreign made clutch purse has an envelope styling. 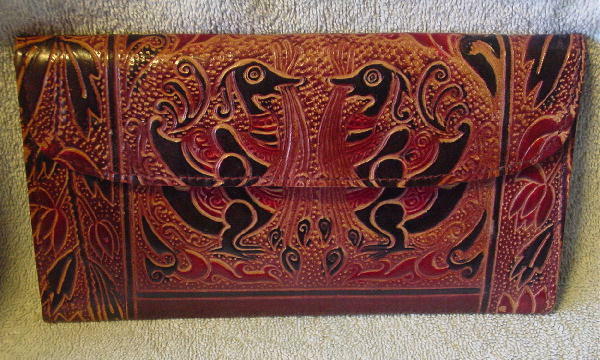 It has a tooled design pattern in black, red, dark brown, and medium brown on a sand color background. There is a hidden two snap closure under the front flap. There are dark brown leather side panels. The interior lining is in a light tan brushed cotton. 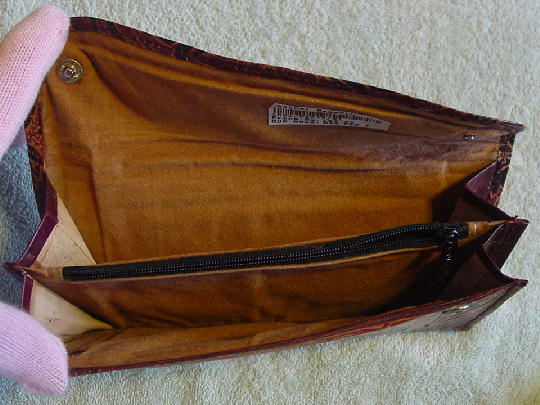 There are three sections; the center one has a side to side zippered closure. The light areas on the purse in the pictures are just reflections. She sold her purse collection.